An athlete’s talent plays a huge role in the recruiting process, but there’s another factor that is often overlooked by players: attitude. Anyone who has been on a team knows that, without good team chemistry, it’s almost impossible to be successful on or off the field. Winning teams have a great culture, whether that’s at practice, during competition or just when they are hanging out together. It also gives each teammate the feeling that everyone on their team has their back, which in turn, helps everyone play well together on the field as well. Personally, I have been on both sides of the fence. I have played with teams that had outstanding team chemistry—and some that didn’t. One thing I have taken away from my own experience is that one particular teammate could be a total standout player, but without a positive attitude, their chances of being recruited at the college level get slimmer. I played Division II softball in the Great Lakes Valley Conference (GLVC). I’m sure all of us have teams we hated playing against, as well as teams we loved playing against. One team in the GLVC that has always stood out to me was The University of Southern Indiana. Don’t get me wrong, it was absolutely a competitive setting each time we played! However, I still admire this team for a few reasons. I enjoyed playing USI because the girls always had great attitudes and respect for their opponents, but more importantly, they had respect for their coaching staff and each other. I was delighted and honored to speak with the University of Southern Indiana’s Head Softball Coach Sue Kunkle about this matter, and she mentioned quite a few characteristics that she looks for in a recruit, beyond talent alone. A few of the characteristics she mentioned were maturity, taking initiative and being versatile. College coaches watch for how players speak to their parents and coaches, the way they handle failure and even how much time they spend on their cellphone. 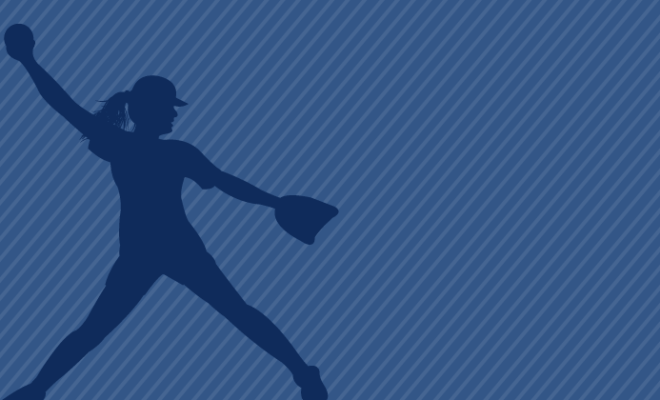 We all know that softball is a game of failure, but how you handle that failure recovery can be the difference that gets you that roster spot. Unfortunately, it can do the exact opposite, too! Coach Kunkle also mentioned a lot about composure. We often confuse being competitive with having a bad attitude. There is nothing wrong with holding yourself to a high standard and having high expectations when it comes to performance on the field. However, it is up to you to separate the two. In addition to being athletically talented, having a good attitude and being a great teammate can make you that all-around player coaches are looking for. Always remember to keep a positive attitude and your emotions in check at all times, and you will see yourself succeed in the recruiting process!